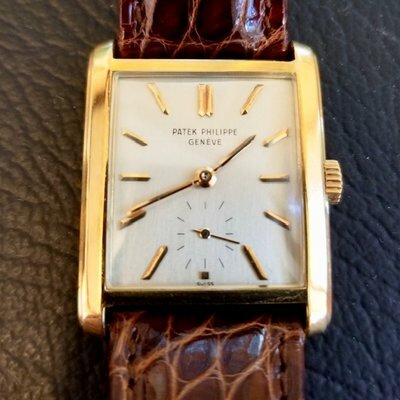 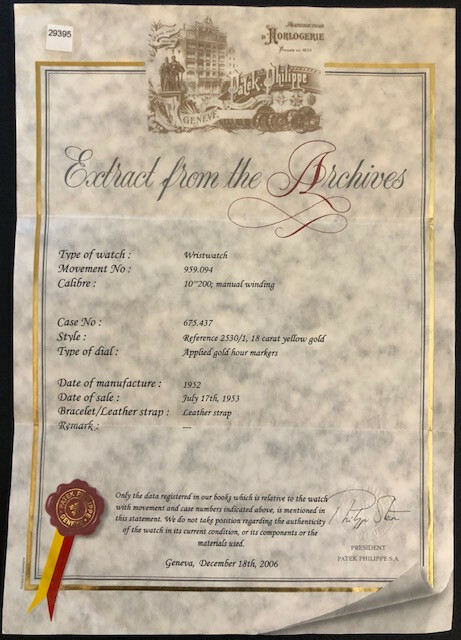 Handsome,18k gold Patek Phillipe, reference #2530/1, manufactured in 1952, near mint condition! 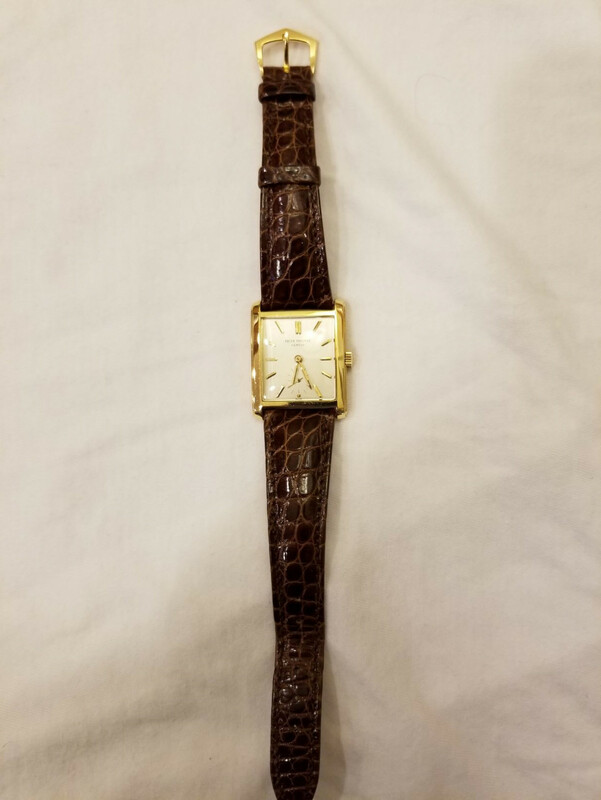 Beautiful dark brown croc Patek strap, with original gold buckle. 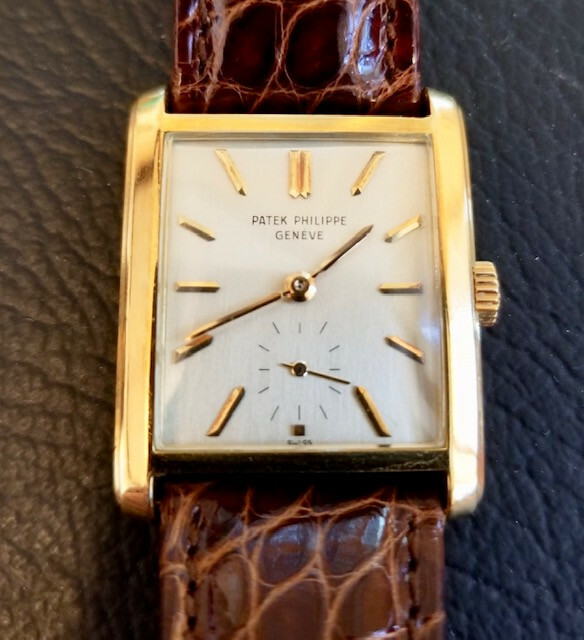 The bezel has no imperfections; I will try to download better pictures.